including the recent attacks in Al-Arish, Sinai. I have now drafted and redrafted this statement numerous times over the past weeks, wanting to say something about the deadly attacks experienced by Coptic Christians in Egypt on a daily basis, yet every time I do, there seems to be a new and often more horrifying attack that needs to be addressed. 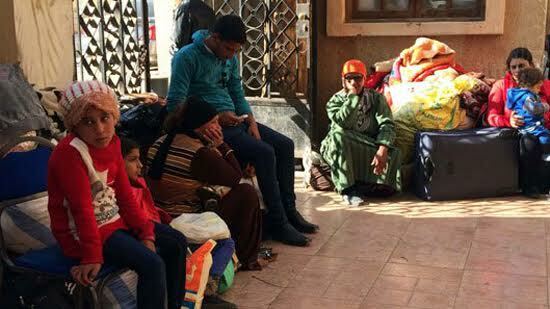 In the past three months alone forty Coptic Christians have been murdered in targeted attacks in Egypt. From the terrorist bombing on St Peter’s Coptic Church in Cairo that claimed the lives of twenty nine mainly women and children, to the murders of individuals across the country since, the one common denominator is that these innocent children, women and men have had their lives brutally and tragically ended for no other reason except that they are Christians. Incitement by terrorist groups that calls for the killing of Christians in Egypt has spiralled over the past weeks to the extent that lists of churches and individuals have now been released as desirable targets. While persecution is nothing new for the Coptic community, this escalation of attacks over the past months, culminating in the most recent murders of seven Christians in Al-Arish, has resulted in the displacement of hundreds forced to leave their generations-old homes in North Sinai. These horrific attacks have gone largely unnoticed by the international community, but Copts continue to suffer tragic violations daily. The attacks against them are anti-Christian and religiously-motivated, demonstrated in many cases by the circulation of flyers within villages urging Christians to ‘leave or die’. Similar events have tragically occurred far too often over the past years, and there is unfortunately little deterrent to prevent them from reoccurring. In our fast moving world that is filled with so much news of tragedy, war and death, it is all too easy for atrocities to become ‘incidents’, and for individuals suffering them to become mere statistics, very quickly pushed aside by the next item of news. In the eyes of the perpetrators they are a viable target, and in the eyes of the world they become a regrettable phenomenon; yet what is actually left behind is traumatised individuals, families and communities that have lost loved ones, living the reality of themselves being targeted. While Coptic Christians have been particularly targeted they have always remained peaceful and opted for non-retaliation. Exceeding this already admirable stance, they have even proceeded to forgive their perpetrators. After the destruction of over 100 places of Christian ministry and worship in August of 2013, the bombing of various churches across the country in the last decade, and the targeted killing of clergy, families, women and children, purely for their Faith, the community and individuals within it remain non-violent and resilient. Despite there being condemnation of these attacks by national government and authorities, there is yet to be a consistent robust and fair implementation of these same sentiments more regionally and locally. In communicating over the past weeks with various brothers and sisters in Egypt, what becomes immediately apparent is that this community that continues to witness its Faith with integrity and strength despite the hurdles it faces, desires to live with dignity in its indigenous homeland. It must also be mentioned that Coptic Christians are not alone in facing these attacks, as scores of Egyptian civilians, soldiers and police officers have lost their lives as a result of this wave of terrorist activity. We pray for those suffering terrorism and violence, for God to grant them peace and reassurance that they are not forgotten by Him or by all those who not only witness their plight but strive to advocate for them. We also pray for those in positions of authority and influence that they may be advocates for all those entrusted into their care. Finally, and not of least importance we pray for those who perpetrate these crimes, that they once again become conscious of the true value of every life that appears to be dispensable in their eyes. 0 Comment(s) to the "Comment by HG Bishop Angaelos on recent spate of attacks against Coptic Christians in Egypt"